The BJP is as unnatural a champion of Dalits as capitalists are of the working class. On April 4, the US remembered Martin Luther King Jr. on the occasion of the 50th anniversary of his death. The discussions and reminiscences about the civil rights leader brought home some stark realities about race relations in the country – that notwithstanding the progress made since the period of the civil rights movement, the US is still a long way from achieving the ‘dream’ King fought and died for. Some commentators even argued that for African Americans, the situation today is worse than it once was. 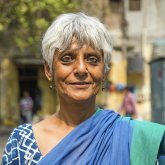 These conversations were taking place at a time when Dalits across India were taking to the streets, protesting the recent Supreme Court mandated changes to The Scheduled Castes and Scheduled Tribes (Prevention of Atrocities) Act. 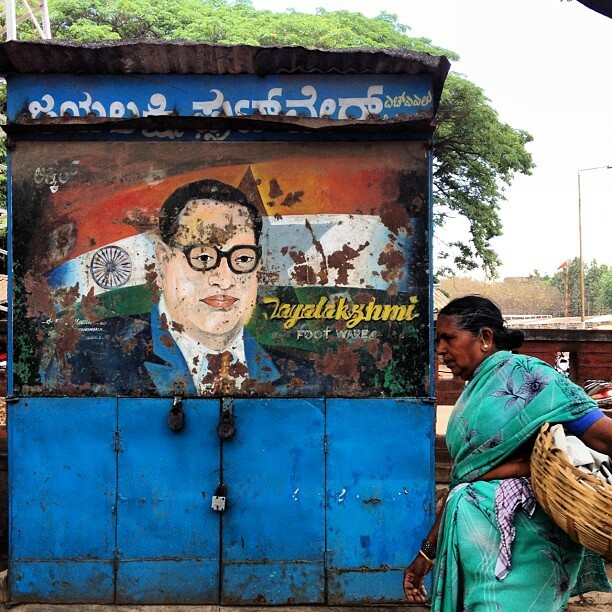 Like King, Ambedkar mobilised his community against untouchability and the structures of caste apartheid. The coalescence of such events – looking back at the legacy of King in the US and witnessing militant Dalit protests at home – could not but bring to mind the shared predicament of two communities separated by geography. Five decades after the civil rights movement and more than six decades after India adopted the constitution framed by Ambedkar, racial and caste discrimination as well as inequality run deep in the fabrics of both countries. Discrimination along caste and racial lines have been and still are structured by social, political and cultural institutions. Like King, Ambedkar-led movements against untouchability fought for Dalit representation in parliament, drew up a constitution which, he hoped, would ensure equal rights to all Indians, regardless of caste or religion. Yet, in both cases, much work remains to be done. 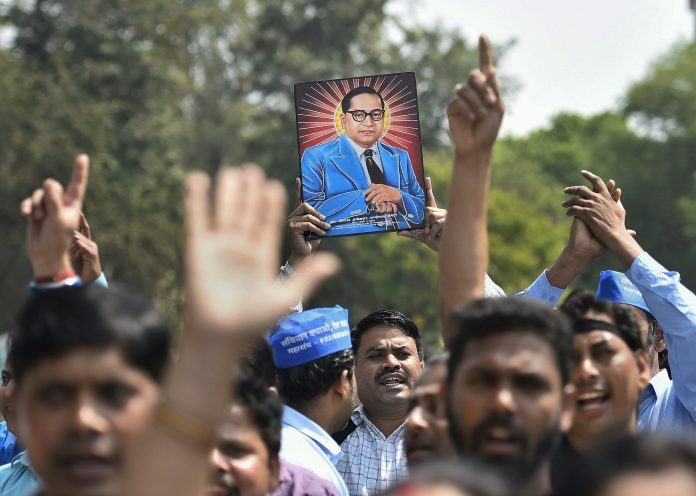 At the same time, there can be little doubt that splintered in more ways than one, Black and Dalit movements have come to strongly assert their presence in public and political spheres. They are channelling their energies through different organisations. 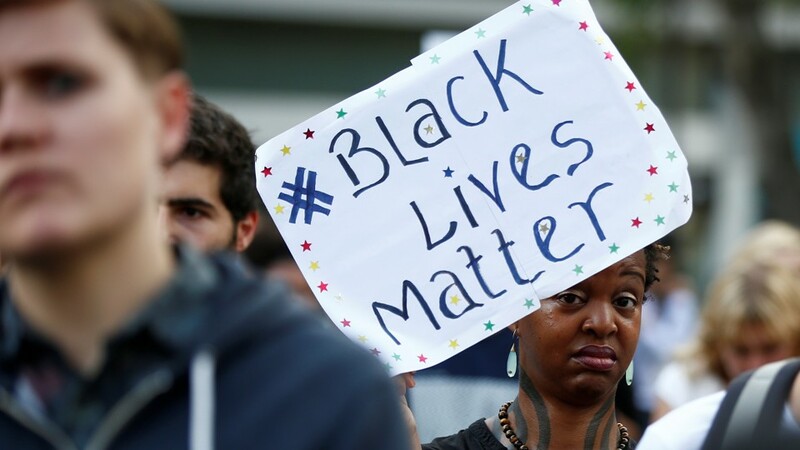 The Black Lives Matter movement, one might argue, has its Indian counterpart in the Bhim Army, among other such groups. The Dalit community is, much like the African American community, innovating with new kinds of resistance. And as resistance becomes more diverse and less centralised, the powers that be are pressing down harder. Highlighting this caste/race analogy, Rajesh Sampath, an assistant professor at the Brandeis University writes: “Although some progress was made in the 20th century that allowed greater inclusivity and equity – particularly in higher education – many issues remain despite constitutional bans on caste discrimination.” He stresses that “in America, cultural and political segregation of the public space continues to occur despite anti-segregation laws,” drawing attention to statistics revealing that as of June, out of 467 Americans who were killed by the police across the country since the beginning of 2015, 136 had been African Americans. Now consider the National Crime Records Bureau’s latest data on crimes against Dalits. Between 2006 and 2016, the crime rate against Dalits rose more than eight times (746%). In 2006, there were 2.4 crimes per 100,000 Dalits. That figure shot up to 20.3 in 2016. The angry reaction of the community to the Supreme Court’s March 20 judgment – mandating a preliminary inquiry by a probe officer, deputy superintendent of police to authenticate a complaint of casteist slur or abuse against a public servant – needs to be assessed in this context. At least nine people were killed in the recent protests in the aftermath of the judgment. The apex court held the view that the misuse of the Atrocity Act necessitates legislative safeguards. But the question remains: is misuse not a part and parcel of every Act and its implementation? Modi seemed to be unaware of the irony that he himself was “dragging” the Dalit leader into politics. He was using Ambedkar’s name to engage in petty brinkmanship vis-à-vis his political adversaries. Ambedkar is today as much an electoral pawn for the BJP as he is for the entire political class. There is, however, also an added irony to the BJP’s narrative. The party going all out to woo Dalits and appropriate Ambedkar is the very same party that cut its teeth in Savarna/Hindutva politics and embraced it as its ideological mission. The BJP, it may be argued, is as unnatural a champion of Dalits as industrialists are of the working class. The fundamental contradiction in the two ideologies becomes glaring when one considers Ambedkar’s categoric denunciation of the Manusmriti and the Sangh parivar’s spirited defence of this Hindu text. Does Narendra Modi, a self-declared follower of Ambedkar, endorse this fundamental tenet of Ambedkarite political thought? The ideological fountainhead of the BJP, the Rashtriya Swayamsevak Sangh (RSS), clearly does not. In an article in this space, political analyst Alankar quoted RSS ideologue V.D. Savarkar who said: “Manusmriti is that scripture which is most worship-able after Vedas for our Hindu nation and which from ancient times has become the basis of our culture-customs, thought and practice.” Savarkar explained that India’s rules and practices are rooted in this text. “Today Manusmriti is Hindu law,” he declared. In saying this, Savarkar hit the nail on the head. Regrettably, the Manusmriti does continue to be Hindu law – the reason why Dalits can’t own or ride a horse, they can’t access common drinking water sources, or enter Hindu temples, or marry outside their caste, or break bread with upper castes, or take a wedding procession through upper caste mohallas. The list of taboos sanctioned scripture is far too long to cite in full. Like race relations in the US, caste relations in India are on a boil. The ruling BJP invokes Ambedkar and cynically uses his name to maximise electoral power in much the same way that MLK’s legacy feeds American politicians’ ideas of how far the country has supposedly progressed. In India, such manipulation did yield rich dividends in 2014 general elections. But since then, Dalit protests have grown louder. The prime minister’s latest political prescription to his party’s legislators, urging them to spend two nights in Dalit villages to “restore faith” is unlikely to pacify anyone. When our nations celebrate anniversaries taming the memories of radical movements, we might want to forget the fanfare and keep an eye on the ground for what is actually happening. What is actually changing and what isn’t.